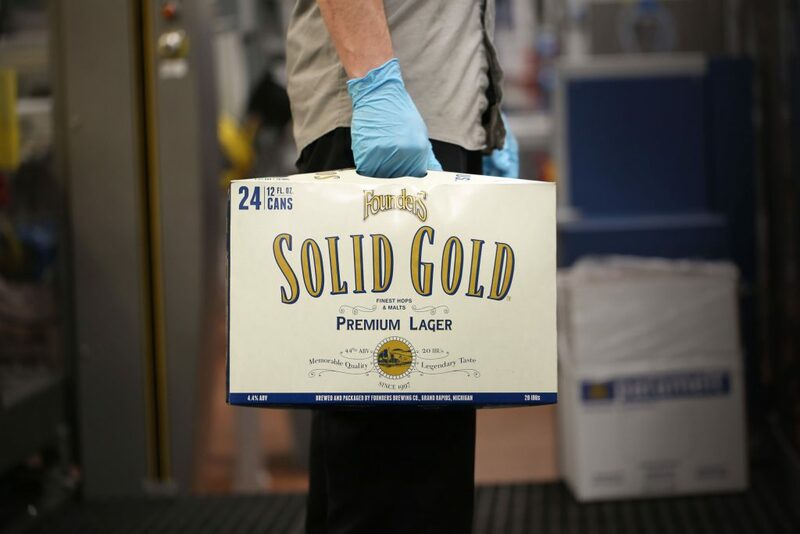 Introducing Solid Gold 24-Packs! - Founders Brewing Co.
Posted on March 14, 2018 by Founders Brewing Co. These will only be available in the Midwestern states of Michigan, Wisconsin and Indiana and will have an SRP of $18.99/24-pack ($19 in our taproom Company Stores)! They will start shipping the week of 3/19. Expect to find these in the same coolers you find the big, domestic brands. That’s right, we’re taking over the world one 24-pack at a time. You can find Solid Gold near you by using our beer finder. Thank you! Love this beer! Any chance they’ll be available in Ohio 24 packs? Not at this point – possibly in the future!